You're not going to want to miss out on these. Dipping an apple in honey is the most popular in a series of simanim, symbolic foods, associated with the Rosh Hashanah feast. The custom is even recorded as far back as the Talmud. There are many other simanim, some simple and some exotic, that vary by community. Render gratitude into a state through your being. Once you view life as the unfolding miracle that it is you begin to understand the cosmic glory of your experiences. The recipe is more greens than grain, but you can change the greens to quinoa ratio for a heartier dish. You don't have to stain your shirt to eat pomegranates. Pomegranate Peace, a new novel by Rashmee Roshan Lall, is a funny, sad and all-too-true piece of fiction about the failure of U.S. reconstruction efforts in Afghanistan. The novel is also a cookbook. It is customary during Tu B'Shevat to eat a new fruit, or to eat one of the Seven Species mentioned in the Bible. Being that it is the New Year for trees, I thought it would be the perfect time to make a "tree" resolution. So, mine is to introduce a new fruit or vegetable at least once a month to my kids. This episode is all about pomegranates -- a Pom Royale cocktail, a Pomegranate Cast Iron Porkchop and a Blueberry & Pomegranate Shortbread Crumble. Pomegranate Juice: Blood Pressure Fighter? A while back I developed a recipe for Blueberry & Pomegranate Popsicles that only has two ingredients: blueberries and pomegranate juice. Make these for yourself and your kids and enjoy them during the hot summer days. My thoughts on Superfoods, Superman, and Super Committees are pretty much the same. It's nice to pretend that there are simple solutions to complicated problems but I live in the real world. Pomegranates called. They said they love you too. 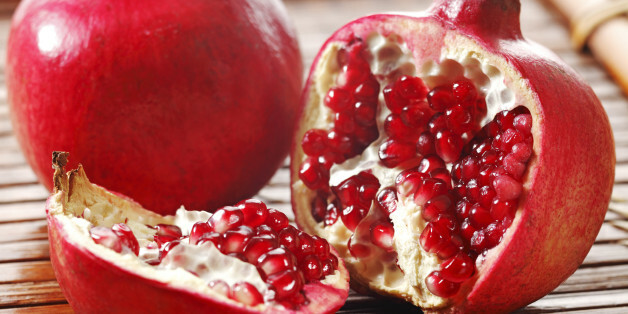 Some researchers say that pomegranates and pomegranate juice have the potential to prevent cancer growth. Most of the research has been done on breast cancer, prostate cancer and lung cancer. 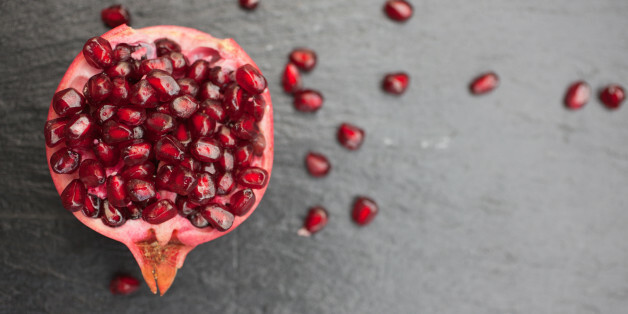 Pomegranates are making a big splash in nutrition research, with scientists searching for the latest health benefits of this antioxidant-rich fruit. What Are So-Called ‘Functional Foods’? You may have heard about "functional foods." Nutritionists and marketers use this term to describe foods that go beyond the basics of supplying nutrients to the body and appear to help ward off and combat certain chronic illnesses. Here is a dessert for Christmas that is not only easy and simple (as all floats are) but also much lighter and palate cleansing than a plateful of cookies or a slab of pie.